1992 Greetings. Picture shows actual lot. UMM 10 x 1st Less than FV. 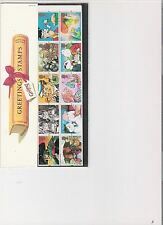 G.B Presentation Pack “Greetings Stamps” Pk No.G2 02/02/93. Dispatched with Royal Mail 1st Class. 1993 Greetings. 1st x 10 Less Than FV. Picture shows actual lot. From a pet and smoke-free household. 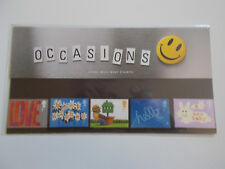 1995 Greetings. UMM 10 x 1st Less Than FV. Picture shows actual lot. Collectible little item, well looked after. ::: UK Cover Lover :: Plus save at least 10% in our monthly sales. All ready for quick dispatch. Regular Monthly Sale. Dedicated Support. 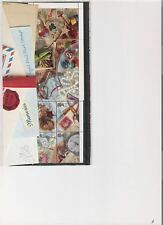 1997GB Greetings Stamps Presentation Pack. Dispatched with Royal Mail 1st Class Letter. 1994 Greetings. Less Than FV. Picture shows actual lot. UMM 10 x 1st Less than FV. Picture shows actual lot. 1866 (1st) "Circus Clowns" (Firmin and Mitchell). 1863 (1st) "Girls performing a Kathak Dance" (Aurangzeb period). Condition: Excellent. 1862 (1st) "Jazz" (Mockett). 1861 (1st) "Girls on the Town" (Cook). Nice little item, well looked after. ::: UK Cover Lover :: Plus save at least 10% in our monthly sales. All ready for quick dispatch. Regular Monthly Sale. Dedicated Support. 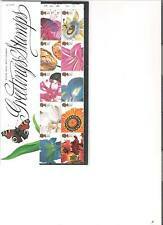 1997 Greetings Stamps Flowers - Presentation Pack G6. Excellent Condition. MNH.